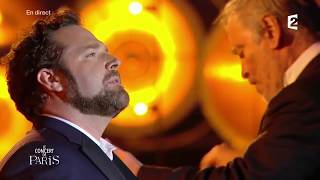 On June 30 PBS’s Great Performances at the Met will air Bryan Hymel’s Metropolitan Opera debut in Berlioz’s Les Troyens. The American tenor’s December 2012 appearance as Enée opposite Susan Graham’s Didon was widely acclaimed, with the New York Times praising his “impassioned and confident performance.” This past season, Bryan went on to win the esteemed Beverly Sills Award, the Metropolitan Opera’s largest award for young Met artists. Next season Bryan returns to the Metropolitan Opera in Puccini’s Madama Butterfly. More about his 2013/14 performances here. Check your local listings & preview the production here.